LWF integrates students with disabilities into schools in the refugee camp. Abdulbagi (middle) discusses with his teacher. “We started integrating children with physical disabilities in 2010 ,” Damian Okello, LWF education officer, explains. “We try to remove the institutional and infrastructural barriers that keep them from school.” For students with mobility impairments, it means providing wheelchair access. For deaf students, a teacher has to be trained from both the Kenya Institute of Special Education and an in-house training on sign language by LWF. The program was first rolled out in early childhood development level and later graduated through to primary school level. “We try to encourage inclusive education but the main challenge is the high enrolment per class which makes it hard to execute an individualised educational program. 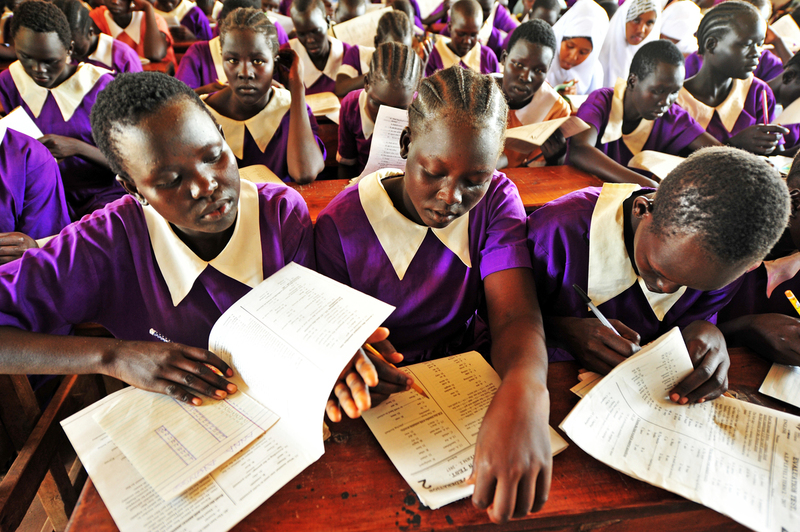 The current teacher pupil ratio is 1:140,” Okello says. Overcrowded classrooms in Kakuma refugee camp. A student-teacher ration of 140:1 is very common. “You can hardly move, how can you manoeuver a wheelchair or attend to one student’s special needs?” one of the teachers asks. The biggest obstacle to the students’ education however, are often their own families. Abdulbagi and LWF staff damian Okello discuss school issues on a visit to the boy's family. Even in the best cases parents are often helpless in dealing with special children, LWF staff have observed. “There is little support to teach them how to care for special children. The parents do not know how to communicate with a child who is deaf or care for a blind child. In any case, their education is not given priority”, Okello says. Abdulbagi and Maliah have experienced the literal loss of words in their own families. Maliah says his family just ignored him and called him useless, until he left them and asked a local church for a place to sleep. He has been living in the church building for months. 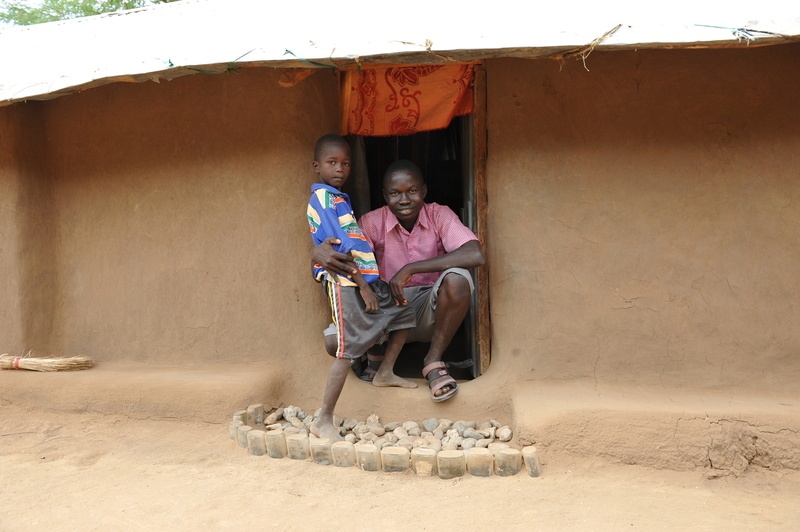 Abdulbagi lives with his two older brothers, who themselves are teachers. “Sometimes it is difficult to understand each other,” he says. Abdulbagi with his younger brother in the family home. Many students with disabilities do not experience much support from their families. LWF has been conducting awareness campaigns in the local communities, helping parents to identify disabilities and raising awareness about how to raise and support these children. Also, LWF is building an assessment center in Kakuma, to screen and diagnose children with disabilities for more targeted aid. “Right now we do not know how many students with disabilities we have here, and how severe those disabilities are,” Okello says. He hopes the center will provide the necessary data and also make it easier to refer children for hearing aids or even surgery. It is a start to at least remove the obstacles for children and youth with disabilities . “We do not have appropriate facilities for students with mental disability in Kakuma refugee camp yet,” Okello says. Instruction in sign language. The teacher was especially trained for the task. Maliah and Abdulbagi joke with a teacher, as other boys look on - the boy's primary school is mixed with students with and without disabilities learning together.